Every home should have a space that’s dedicated to spending time with family and friends. As the old saying “if you build it they will come” and having a room just for that purpose, usually means that you’ll spend more time in it and that you’ll structure it around your family. It’s best if this room is nook added to your home. In the long run, it will increase the value of your home and make it easier to sell in the years to come. The most common way to add this room to your existing outline is to create what’s called a bump out room. It’s simply an extension of an existing room that’s added by tearing down one of the walls and addition of new flooring. These bumps out spaces usually take up around 50 square feet. This is the best scale because it doesn’t change the outline of your home that much. The bump-out fits in nicely with your yard. At the same time, it’s a large enough area that you can add comfortable and useable furniture. Another simple way to enlarge your home is to close up your porch and effectively turn it into an extra room. 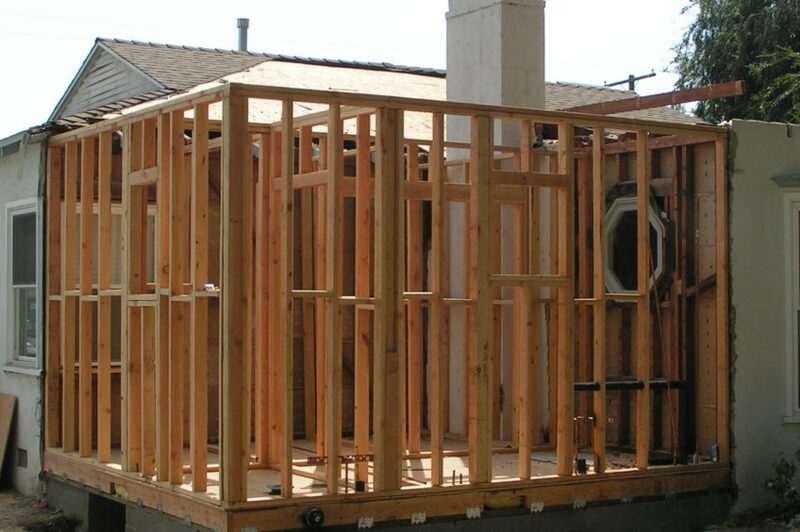 It’s a relatively simple construction project, because you can use a pre-made steel frame to make the addition. Other than that, it’s important to add a lot of windows to this space and thus make it comfortable to use at all times. This addition needs to be furnished a bit differently than you would do with a bump out since it’s midway between being a room in the house and the yard. The porch should be furnished with light furniture pieces, bright colors and natural textures. A lot of suburban homes have large garages fit for two or even three cars. There are many families that don’t need that much space and they could instead turn it into a family room. This presents a unique set of problems, but also has its advantages. The main advantage is in the space you get and the versatility of it. However, the problems usually come from the fact that this space usually isn’t isolated well and are therefore difficult to heat and cool in the summer. It will require some construction work to be completed. In the end, it’s important to figure out what a family room is. It can be whatever you want it to be and it can be turned into something completely different from a family room if you need it to. That’s something to keep in mind before you’ve started designing a room. This is mostly about choosing the furniture and the lighting that could be changed and removed easily. This may mean that you need to spend a bit more in the beginning, but it’s worth it because it allows you to use the room in a more versatile and open way. A family room you can add to your home will greatly increase the value of your home and give you a space to use in a comfortable in a safe way, while spending time with your family and friends. It can be a large construction project, but when it’s done, the room could be used in a lot of different ways.